For many Chinese, "landlord" used to be a derogative term that's often associated with slavery, exploitation and decadence. The term is most associated with land reform in the 1950s, an important step in what Chairman Mao Zedong called "the New Democratic Revolution," which destroyed the landlord class, and with it the old feudal system that lasted for thousands of years. For decades, that history was unquestionable, and landlords were stereotypically depicted as villains in Chinese movies and books. But some historians and descendants of the landlords have been trying to view that history from a more sympathetic, human-centered perspective. But these attempts are never easy. A recent historic novel, Soft Burial, came under attack because it appears to sympathize with the landlords during the land reform in the 1950s. China's Maoists, who have become increasingly active online, have relentlessly criticized the book. 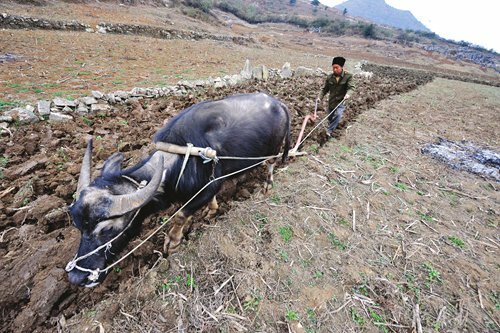 Detractors of the novel believe that by sympathizing with the landlords, the novel is discrediting land reform, a major feat of the Communist Party of China (CPC), and therefore challenging the CPC. "Soft Burial is a downright anti-Communist Party novel," one article, written by a commentator called Chun Lin, asserts. "We have to be cautious about this novel, and criticize it thoroughly." The novel, published by the People's Literature Publishing House last August, tells the story of a dying woman, by following her buried memories and her son's investigation of his family's past. 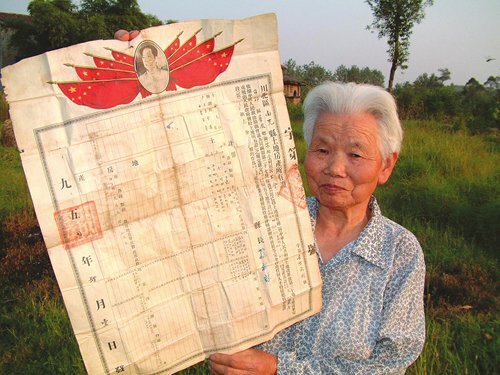 The woman was the wife of a rich landlord's son in eastern Sichuan Province in the late 1940s, and she witnessed her husband's entire family, who feared an undignified death, committing suicide. That painful memory made her amnesiac, but still haunts her subconsciously throughout her life. In an interview with the Xinhua News Agency, Fang Fang, author of the novel, said she was inspired by the true stories of her friend's mother. Much of the novel centers on China's land reform, which redistributed land to some 300 million peasants who had little or no land. It was a period of time when landlords were the targets of class struggle campaigns. Many of the landlords and their families were brutally killed or tortured during the campaigns, even after their land was confiscated. Fang reflected that history through the words of one of her characters in the novel: "We fought wars for many years, but no one had any experience in land reforms. Nor do people understood the law… In some cases, the head of the land reform team heard reports that someone was evil and deserved to be killed, and he would have him killed. Local-level administrators were poor in their governing capacity. They thought they should do something for the poor, and yet they never thought about whether it was justified." The title of the novel, Ruanmai, literally "soft burial," is the practice of burying the dead without a coffin, and it's considered ominous according to Sichuan's local customs because it's believed that those buried this way will never have an afterlife. In the novel, apart from referring to how the landlords were buried, it's also used as a metaphor to describe a way of treating the past - burying it, consciously or unconsciously, until it sinks into oblivion. On the reviewing website douban.com, the novel gained four out of five stars, with 242 people tagging they have read it. Many reviews praise Fang's courage to touch upon a subject that's highly sensitive, and her reflections on how people should treat their history. Those who give the book a lower mark are mostly unsatisfied with her writing skill, which they think isn't polished enough. Qinglin, the son of the protagonist, eventually gives up investigating his mom's history as he feels it will disrupt the peacefulness of his life. The author Fang Fang, apparently, doesn't agree with the character. In the afterword of the novel, she said people should not bury their past, but rather record it. "The choice of Qinglin is people's attitudes on history nowadays. The truth will never be revealed, and therefore there is no use uncovering it," one comment reads. The book received a completely different reaction, however, among leftist commentators and on Maoist websites, who were infuriated by the novel's treatment of history. Utopia, China's leading Maoist website, published over a dozen articles castigating the novel in March alone. Five of these articles are written by Guo Songmin, an ardent Maoist and political commentator who used to be a pilot in the People's Liberation Army Air Force. Guo thinks the work aims to discredit land reform and ultimately the legitimacy of the CPC. 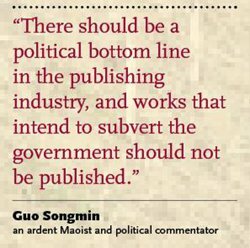 "There should be a political bottom line in the publishing industry, and works that intend to subvert the government should not be published," he told the Global Times. "The land reform and the new democratic revolution are important steps in our history. Without them, China could never have achieved what it has become today," he said. The leftists see the novel as part of a growing trend that they call "historical nihilism," or the denial of China's revolutionary history. One famous example of historical nihilism was when liberal magazine Yanhuang Chunqiu published an article by author and historian Hong Zhenkuai in 2013, which pointed out several incongruities in the different accounts of the story of five famous Chinese revolutionary heroes. While Hong said it was a work of academic research, the descendants of these heroes successfully sued the author for defamation, which the leftists saw as a triumph. When asked if he thinks revolutionary history cannot be challenged at all, even if truth sometimes differs from the "official history," Guo said, "We should look at the nature of history. … During the long period of the revolution, it's inevitable that some people will make some mistakes. But these authors should not fragmentize history, and then use these fragments to pretend it's real history - such as thinking the land reform is equivalent to killing innocent people." But some people think the verification of truth should come before ideology and politics when studying history, even though they're just "fragments of history." Liu Xiaofei, grandson of Liu Wencai, a notorious landlord in China, has been trying to clear the name of his grandfather all his life. Liu Wencai used to be an influential landlord in Sichuan Province, but his family collapsed in the 1950s after political campaigns and class struggles swept the country, and he was portrayed as a villain in movies and propaganda materials. Many of Liu's family members were then murdered during the campaign. According to some writings, Liu had a secret water dungeon in his home which he used to torture tenants who couldn't hand in enough crops. He was also featured in a 1965 sculpture called Rent-Collection Courtyard, which depicts him dragging a young mother away to enslave her. Liu has been trying to prove that even though his grandfather was a landlord, he was a good one - he donated money for the building of a local school, a dam and a road, and contributed to the economic development of his village. He also said the water dungeon never existed in his home, but was made up to vilify the landlord class. But the efforts are difficult. In 1999, Sichuan writer Xiao Shu published a book called The Truth of Liu Wencai, trying to evaluate the landlord through a more neutral perspective, but the book was banned for challenging China's New Democratic Revolution. "I think history will finally meet the light of day one day. More works like Soft Burial will be published in the future. The reason why that history is barely told is that there is too much pressure," Liu Xiaofei told the Global Times. Fang Fang, author of the book, did not respond to the Global Times' interview requests. On her Weibo account, she wrote that she's aware of the controversy to her novel, and likened the style of the criticisms to those during the Cultural Revolution (1966-76). "Even if many of these articles sound like criticisms during the Cultural Revolution, it's no big deal for me … Luckily, the country has gone through reform and the opening up, and it's no longer a time when people can easily put labels on others. … No matter what, I believe the Cultural Revolution won't come again, even though it sometimes reappears like ghosts performing a flash mob," she wrote. The authorities didn't get involved in the controversy. The book is still being sold on major online bookstores such as dangdang.com.